If you are in town please come along. We’re in the NPC auditorium and the bar will be open. At the moment I’ve coerced a great crowd of pipers to give us tunes – all from those who were good enough to contribute their creativity to “More Music for Everyone”. 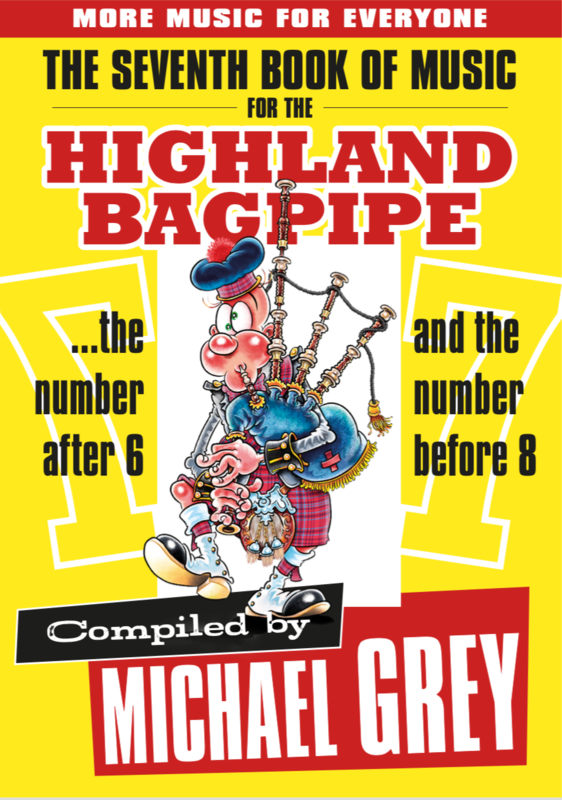 The pipes you’ll hear include those of Bernard Bouhadana, Bruce Gandy, Scott Garden (who has just published his first book and will be performing at the PipingLive Street cafe on Thursday @5 pm) Nick Hudson, Duncan Nicholson, Dougie Pincock and Bob Worrall. With any luck the ferry schedule behaves and we might hear Dr Angus MacDonald! As paper and books and things non-digital become less-and-less “monetarily attractive” I’ve thought about the whole thing – the business of building and marketing things like books – through the lens of the often shot-down “vanity project”. I’ve come to the conclusion that vanity projects make the world go around. You paint your house? Wash your car? Buy a new suit, new fancy frock? VPs. 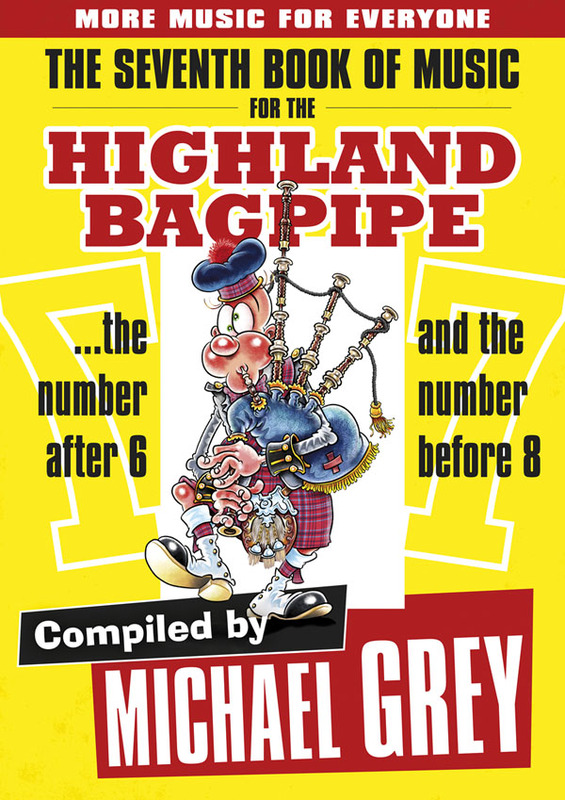 In piping, especially, the time of the major label producer or publisher of traditional music is long gone. I am especially pleased about this book for a couple of reasons: contributors and layout. I’ve old friends and new – and all three of the Glenuig MacDonald brothers, Allan, Angus and Iain – with tunes on the pages. I call out the MacDonalds because, maybe like you, they stand to me as a pillar of talent and blas. We’re lucky they live in our time. I suppose the same might be said for any of us – or many of us. Like the music of the book’s other contributors, their tunes are fine. On the book’s layout, John Slavin, has cobbled my rambled imaginings into something appealing. The thing is in full colour with lots of photos and stories all slickly set out by John. I pinch myself (not really) when thinking how lucky I have been to have the famed Viz magazine artist, Simon Thorp, create a bespoke “Finbarr Saunders” for the cover. 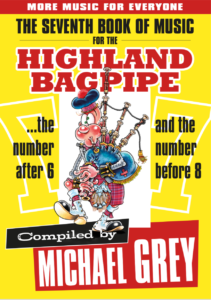 He was pleased – I imagine – to do it, and, as his Finbarr will attest, Simon Thorp has a new understanding for bagpipe mechanics. So, come along, if you can, to the book’s launch. There’s even some free (free) T shirts around for those who fit either extra-small or XXL (joke – think the usual clothing sales racks).